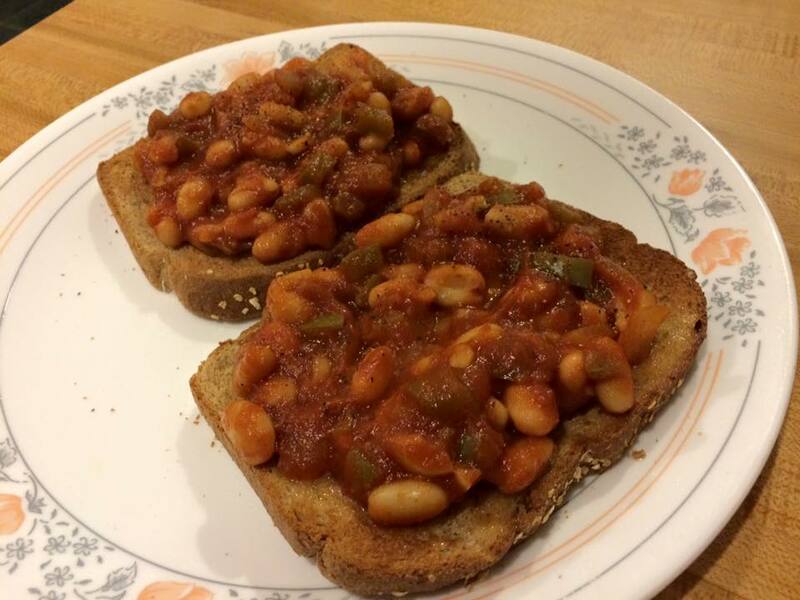 The Vegan Mouse: 15 Minute BBQ Beans on Toast. 15 Minute BBQ Beans on Toast. Here's a good weeknight meal idea. Saute a small chopped onion, 1/2 a chopped green bell pepper and garlic in oil until soft. Then add some cumin, chili powder, salt, a can of white beans (drained and rinsed), 1 cup of tomato sauce, a couple tablespoons of bbq sauce, a teaspoon of sugar, a squirt of mustard and a spoonful of white vinegar and simmer for 15 minutes. Serve on buttered toast. You're welcome! This is right up my alley! I found you thru a post that Vegan Peace posted on and I'm glad I did! LOVE your blog! I'm over at MyBlissfulJourney.com in case you want to swing by. Beans on toast has been a fave' of mine since I was a kid - I love your fancy veg filled twist on a classic.